From the comic genius pens of Olivier award winning writers Harry Shields, Henry Lewis and Jonathan Sayer (The Play That Goes Wrong & Peter Pan That Goes Wrong) comes their new West End offering bound to keep audiences laughing in the aisles as with their other shows. The promo reads…. One giant diamond…. Six incompetent crooks…. And a security guard asleep on the job….. What could possibly go right? If you enjoy knock-about slap stick comedy at its raw silliness, then this is the show for you. 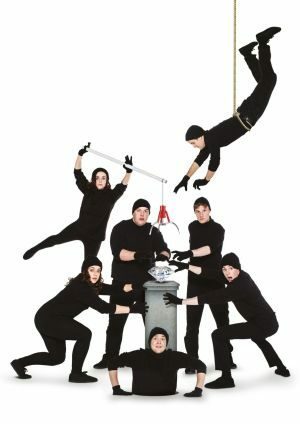 Written and performed by members of The Mischief Theatre Company who have had years of success at the Edinburgh Festival, they bring their unique brand of comedy to this hilarious new show. Performance Times: Tuesday to Saturday at 1930; Saturday at 1430; Sunday at 1500 & 1900.